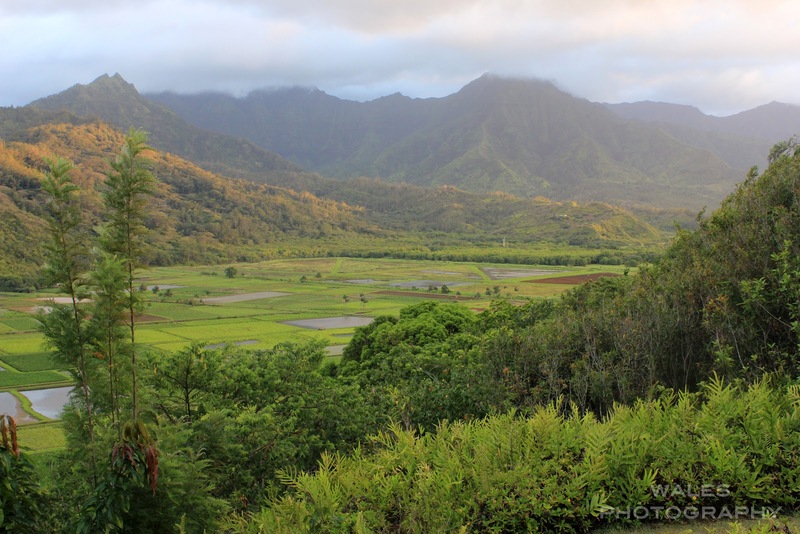 The island of Kauai is not very big, only 33 miles long and 25 miles wide, so we made it our mission to explore each shore. Along with "the Garden Island", it is also referred to as "the Island of Discovery". Both extremely suitable. Early one morning we got in the car and drove an hour and a half to the North shore, home to rugged mountains, taro fields, incredible beaches and spectacular sea cliffs. 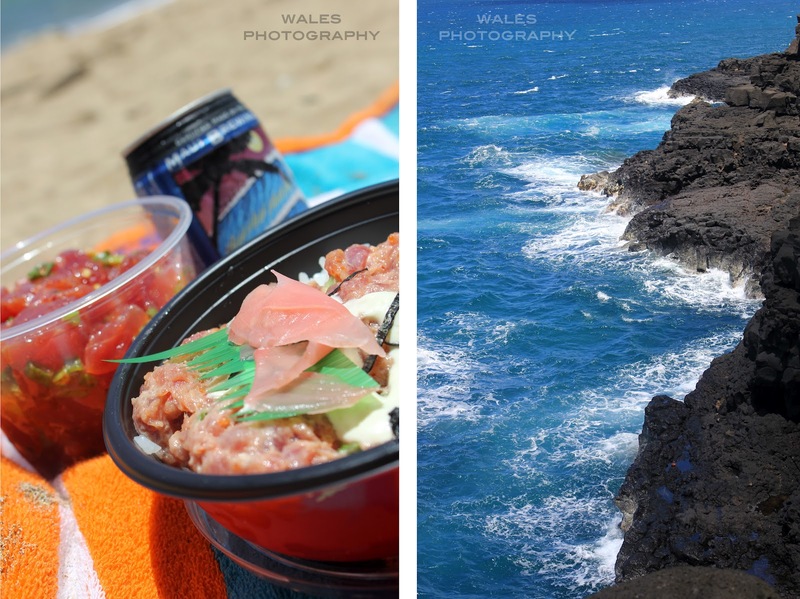 The scenery on the North shore is entirely different than where we were staying along the South shore in Poipu. 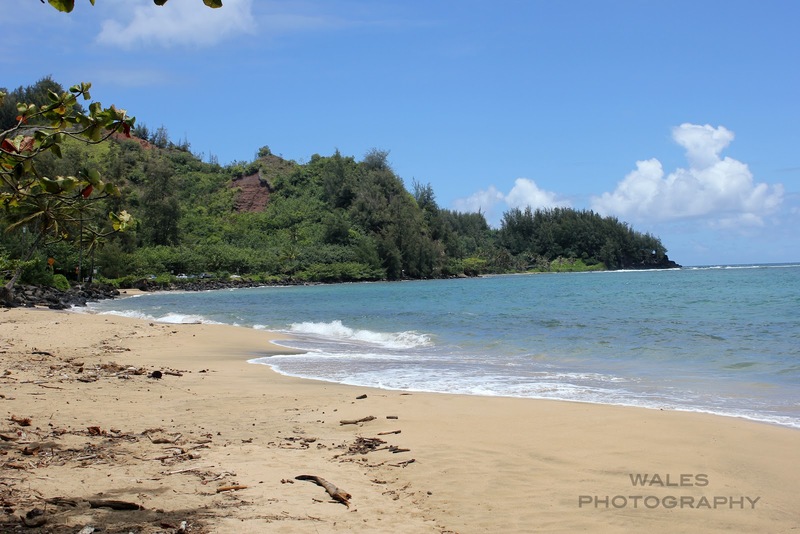 Our first stop was the beach at Hanalei Bay, where we enjoyed our tuna lunch, a cold IPA and creeping on Johnny Depp's boat anchored in the bay. We felt like paparazzi with my big lens and the binos. 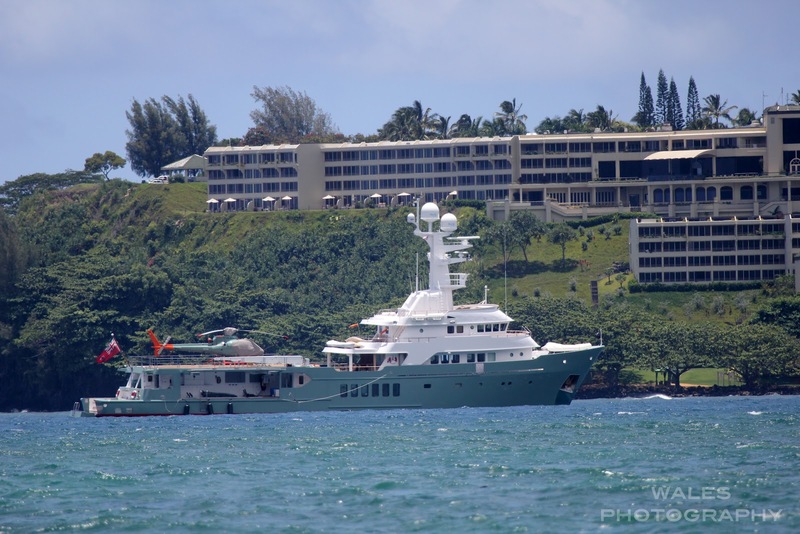 If you ask me, a huge yacht with a helicopter on it is just asking to get creeped on. 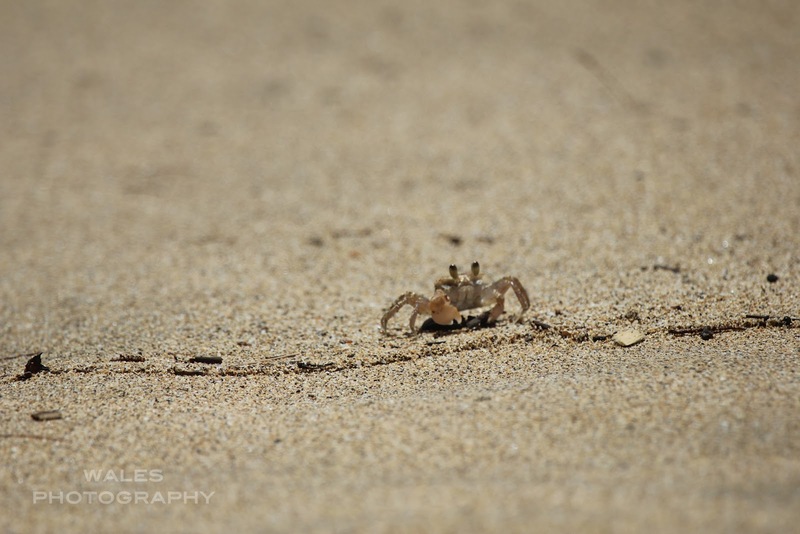 After lunch, we hoped back in the car, making sure to stop and check out all the beaches along the way. We admired all the houses on stilts and even picked out "our house" if we were to ever live on Kauai. Of course it would be right on the beach. 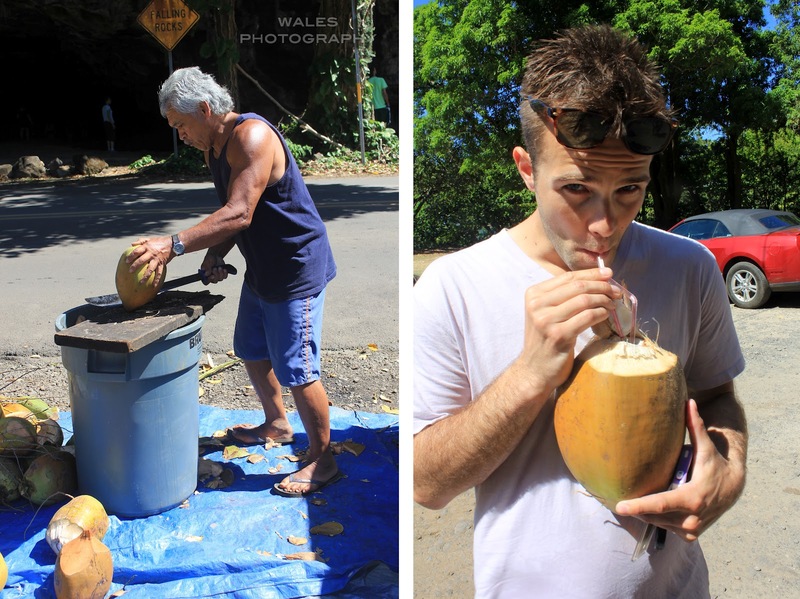 We continued driving until we came to the end of the road, where we enjoyed more beach lounging and refreshing coconut water before we turned around and headed back south. 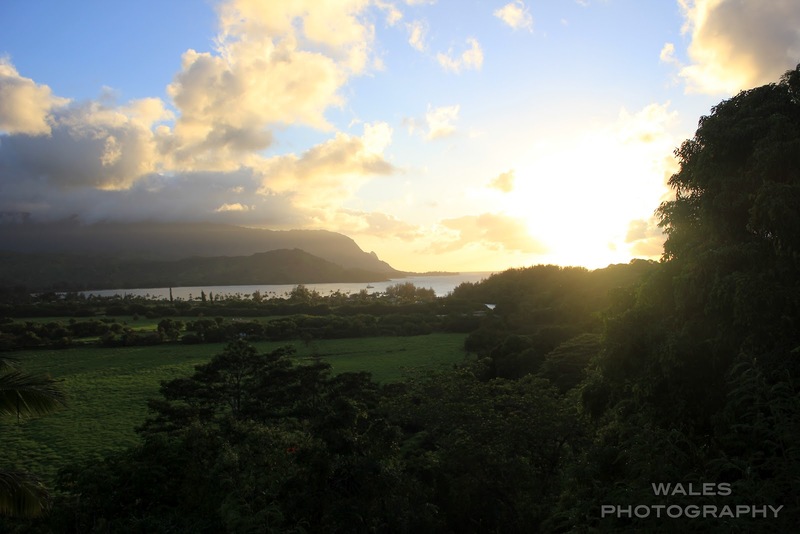 On the way back, we made a pitstop along the road so that we could take in the luminous sunset over Hanalei Bay. 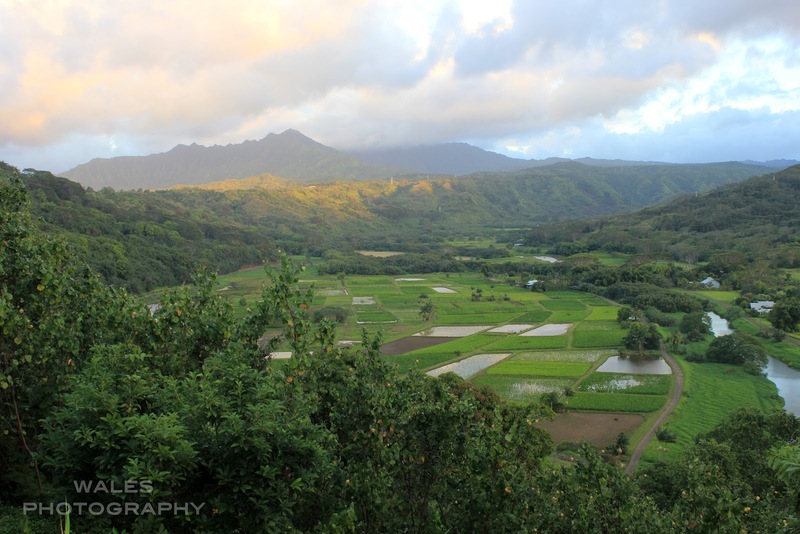 It turned the taro fields below a brilliant emerald green. Very well worth the drive.